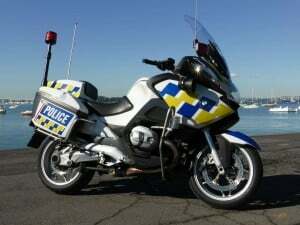 How do you get to ride a police motorbike for a living, and what are the specs of the bikes? 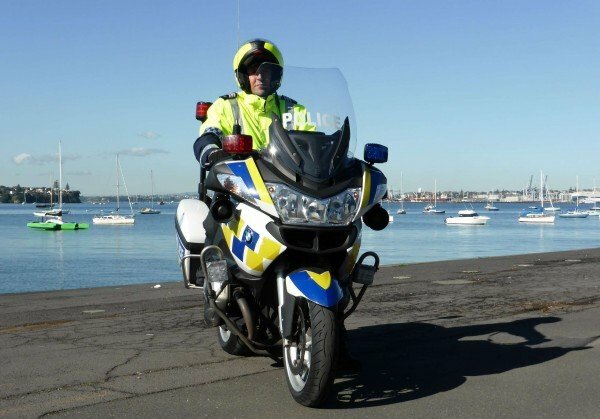 We spoke to Sergeant Matt Ford, Supervising Instructor, based at the Sulphur Beach Road station at the bottom of the Harbour Bridge in Auckland, and he explained the bikes they ride and how to become a constable in a traffic unit, riding motorbikes (arguably one of the best jobs in the police). some reprogramming of the display computer. The standard siren is a twin 100-watt speaker, and there are blue and white lights mounted on the front and a red light mounted on a telescoping pole at the rear. There are two antennas, too. The rest of the bike is standard, despite the rumours, which means it’s a 1170cc air-cooled, four-stroke, flat-twin (boxer) engine producing 81kW and 120Nm of torque through a 6-speed gearbox. 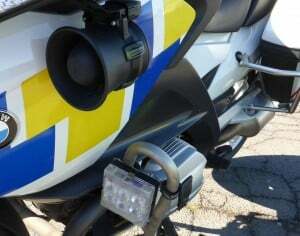 The kerb weight of a standard RT1200 is 259kg, but adding all the police equipment boosts that figure up towards 300kg, so the power-to-weight ratio suffers a bit, and the braking performance is tested, too – fortunately there’s ABS. Still, it’s good to get to 100kph in around 3.5 seconds and, in the hands of an experienced police rider, is a match for your average rider on a more nimble bike. The BMW requires a different style of riding to the Honda. The Honda has less ground clearance and its pegs are closer to the ground, so you need to keep your toes up when cornering; the BMW is a more relaxed ride. 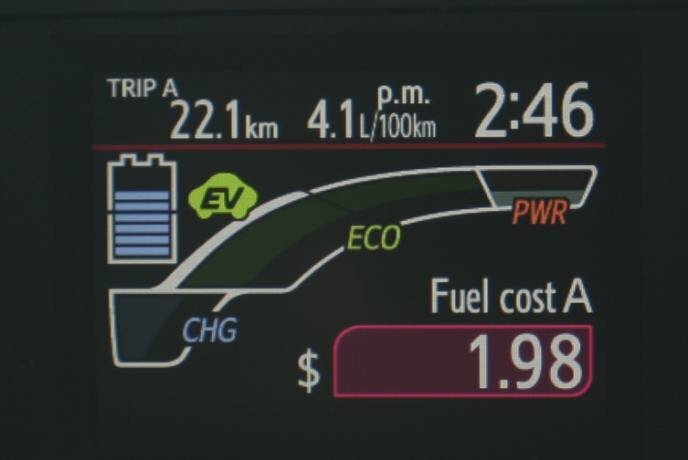 The Honda, with its 1300cc engine has more power (87kW) from its four-cylinder engine, but it’s down slightly on torque with only 117Nm. It’s also heavier at 331kg with fluids (kerb weight). The Honda was chosen mainly on price against the BMW and Yamaha contenders as the BMW models are expensive to maintain. So if we’ve tantalised you with the motorbike specs, here’s what you have to do to get to ride it for a living. First, you need to get your motorbike licence – you can practice the theory component of the test by clicking here, but also check out our full guide which gives you the lowdown on CBTA and all the other complexities of getting your full motorbike licence, including costs. Then you will need to join the police and go through the initial training which takes around 19 weeks. If you pass the training then you’ll be a probationary constable for two years on a starting wage which is (at the time of writing) $52,860, but with superannuation contributions is a full package of $59,170. If you are an officer coming from overseas then you will do accelerated training which halves the time. Car training is given as part of the initial training and then you can apply to be assigned to a traffic unit as a constable where you will be partnered with an a constable who is an FTO (field training officer) so you can learn the ropes. At this point you should let people know that you want to ride bikes and that you already have skills. It’s highly unlikely they will take you unless you’ve got 12-24 months of previous riding experience on larger capacity machines (i.e. 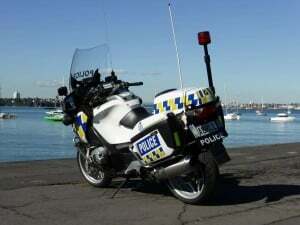 you will need to have had your full licence and a motorbike with a large engine for at least one year). You may have to wait a while until an opening arises or until your seniors feel you are ready, or you may get lucky and be in within a couple of months. Already having knowledge of Roadcraft (e.g. by joining the Institute of Advanced Motorists), will be an advantage as the police training is almost exclusively based on the Roadcraft system used by the UK police. The motorbike training itself is much more intensive than car training. There is an initial two-week training course, and every 12 months you have to do a two-day re-certification course which consists of one day of cone riding and one day of Roadcraft riding on the roads. This video shows cone riding practice at Wigram airbase in Christchurch, with specific exercises that must be completed perfectly. Other training is done at Whenuapai in Auckland, or at Masterton Motorplex just north of Wellington. 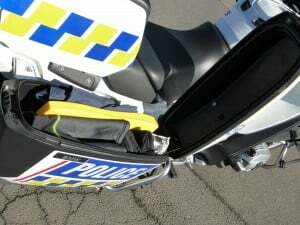 Once you are certified as a motorbike traffic officer then, depending on the region, you will either be assigned your own bike, or you will hot-seat in a bike with other officers. Officers tend to work alone within a region during daylight hours and then pair up within a region in low-light conditions so that there’s backup. You’ll have your own safety gear (modular helmet, high-visibility jacket, boots, pants and gloves) provided for you. 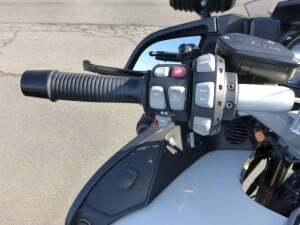 Check out this article for more information about motorbike safety gear. Bronze: you can drive police vehicles but not in pursuit – you must drive according to civilian driver licence conditions. After two years, when you have completed all your training, you can apply to do speciality roles such as diplomatic protection, armed offenders squad, dog handling, CIB or as a serious crash investigator.